This will be the first time I will be reviewing about vaping products here in my blog. As you may have noticed, I do have a category called “Vape On” whereby it will be my specific section on this subject. I do blog ohsem stuffs. So this includes technology on any products including electronic cigarettes. Vaping is quickly picking up its pace in Malaysia especially for those who wishes to quit smoking and finding a safer alternative to smoking. Vape itself is completely harmless. Contrary to popular belief, it will NOT cause cancer or do any harm to your body. That is the message that we, vaporians (as we called ourselves) are trying to relay to the masses. But often the media will say otherwise…of course. Anyhow, this article is for those who are above 18 years of age and we do not condone selling or promoting electronic cigarettes to minors. 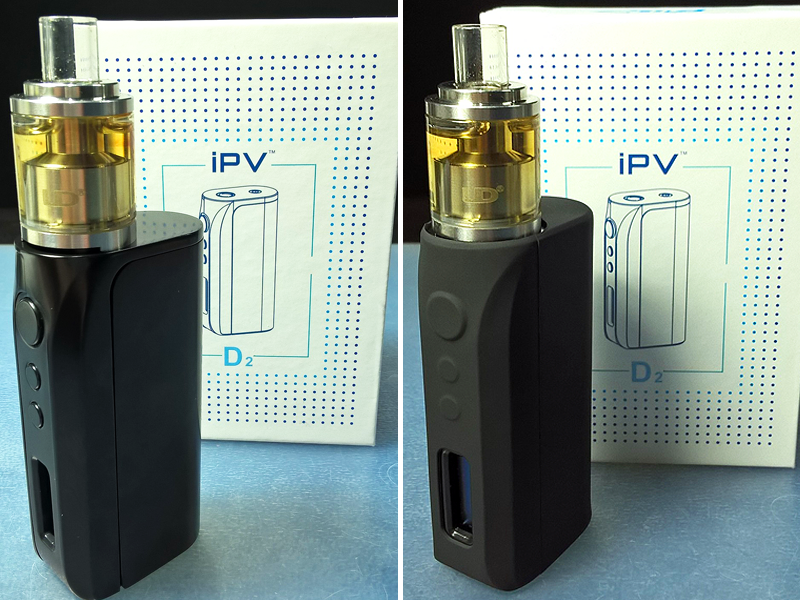 Introducing the new and currently the hottest selling mod in Malaysia at the moment, the IPV D2 by Pioneer4You. If you’re wondering why I mentioned “Cili Padi” in the title, this mod does seems like it. Don’t be fooled by its size. This small and often referred as cute mod packs a punch when it comes to producing strong firing power to the atomizer. With the lowest wattage at 7 watts, it goes up to a high of 75 watts. It has the most advanced YiHi chipset to date and it also comes with temperature control. The body is made of aerospace grade 6061 aluminum that can withstand high heat and is extremely durable. With its small size, it is also very light and easy to hold. The solid built on this mod brings up the premium feel to it. 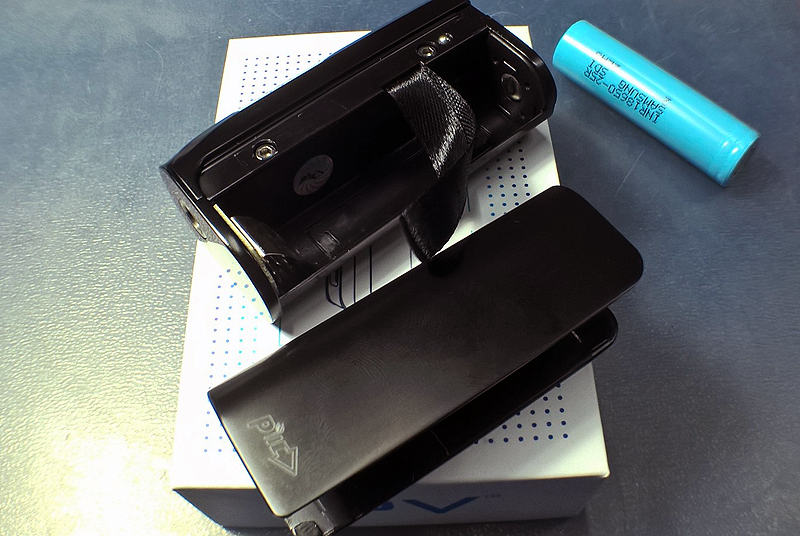 The battery cover is very easy to open. Simply slide the cover downwards to reveal the battery compartment. The cover will snap back into place when closing. The nylon strip made it easy to remove the battery from the compartment. 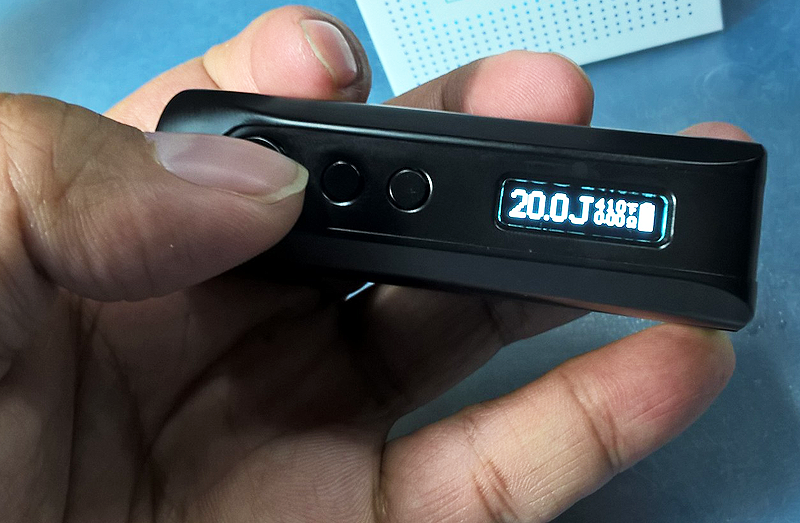 When switched to temperature control, the display will show in joules instead of wattage. Notice that the voltage now reads as Fahrenheit. These setting may sound like gibberish to those who don’t know anything about vaping but to those who vapes, this is pretty normal. The IPV D2 is best matched with UD’s Goblin Mini atomizer. Imagine two cuties combined, it becomes a really cute mod and atomizer setting. 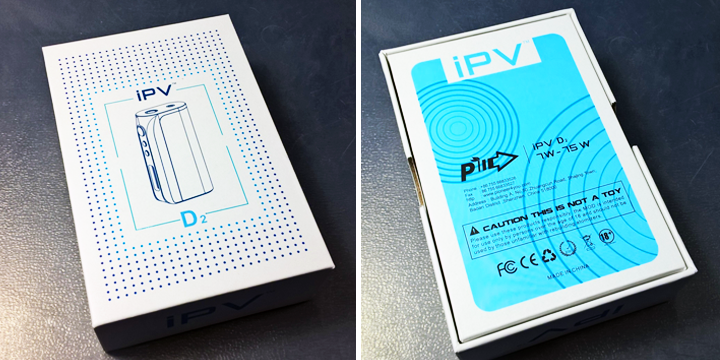 The IPV D2 also comes with a silicone sleeve for extra protection against scratches and dust. Pictured above is the D2 with Goblin Mini setup, with and without the silicone sleeve. As you can see, the D2 and Goblin Mini combination fits well in my hand and it’s really small. This is my current favourite and I will keep using this setting for a long time. 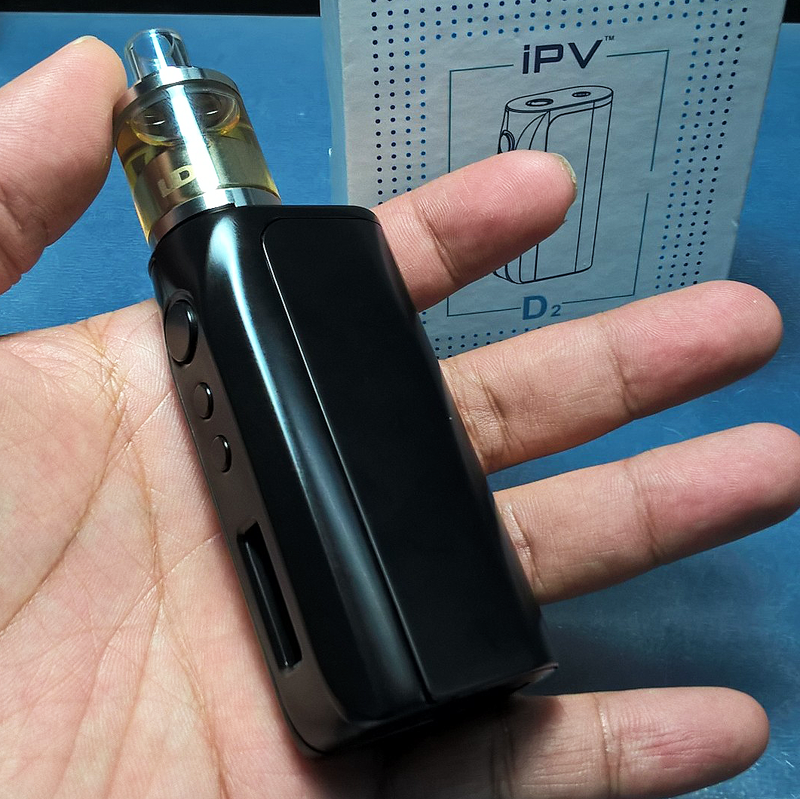 My take on the IPV D2 is that it is a “Cili Padi” mod. Small and powerful. It has a solid built for something so small. The silicone sleeve compliments the mod really well and gives me the extra grip. As for the firing power, on 20 watts is similar to my HCigar HB40‘s 25 watts. Meaning I don’t have to fire up higher wattage to get the same output. Also means I can safe battery span a little bit. The temperature control also works fine when using a nickel wire setting in the atomizer. It’s pretty easy to switch from wattage mode to joules mode from within the system menu. 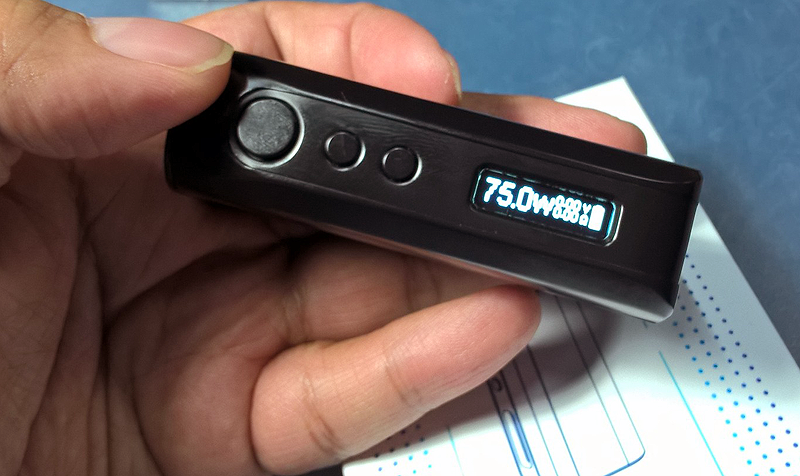 The IPV D2 by Pioneer 4 You is the newest temperature control mod. 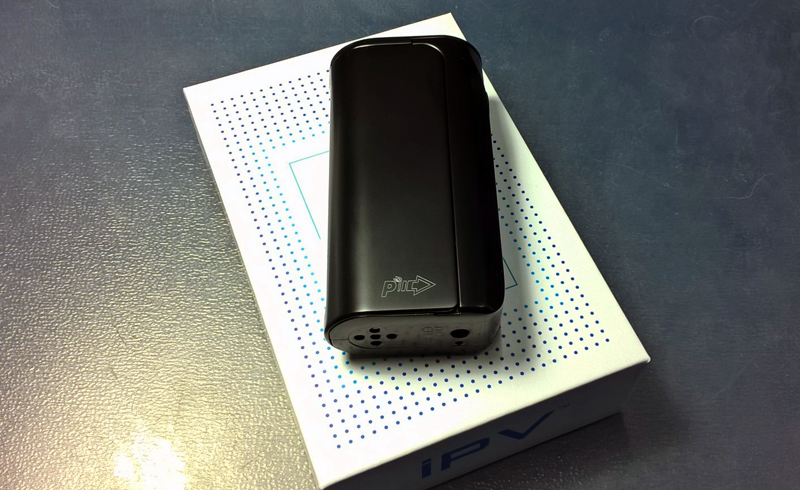 It is a sophisticated product evolved from the IPV Mini V2. It’s attributes include being smaller than the one before at as well as much lighter. With an output power at a range of 5W-75W and 5 Joules- 75 Joules. Voltage range s between 1V- 8V while current range is 1Amp- 25Amp. This product calls for one 18650 battery. 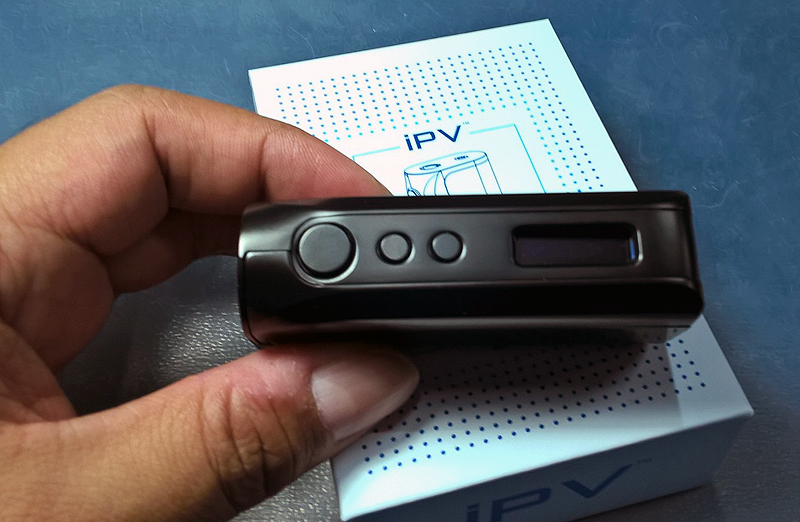 The IPV D2 will be available in the color black initially but will eventually also be available in silver as well. Also, if you are looking to go the extra mile to customize your mod; silicone covers will be sold separately to fit this unique device. The silicone covers will be available in multiple colors including: Blue, Pink, Yellow, Red, White and Black. That’s all I have for now about this wonderful vape mod. To know more, you can check out Dragon Cloud (Vape Shop) and follow their Facebook page. Follow them on Twitter and Instagram too at “DragonCloudVape”. Call/WhatsApp to 016 319 1717 for more info or drop by at their shop in USJ 21, directly opposite of Main Place shopping mall.